The Leeds branch of ScoMac Catering Equipment has completed a project to design and outfit a test kitchen for major supermarket name, Aldi. We were tasked with providing the equipment and fabrications for the grocery giant’s new facility in Atherstone, Warwickshire. 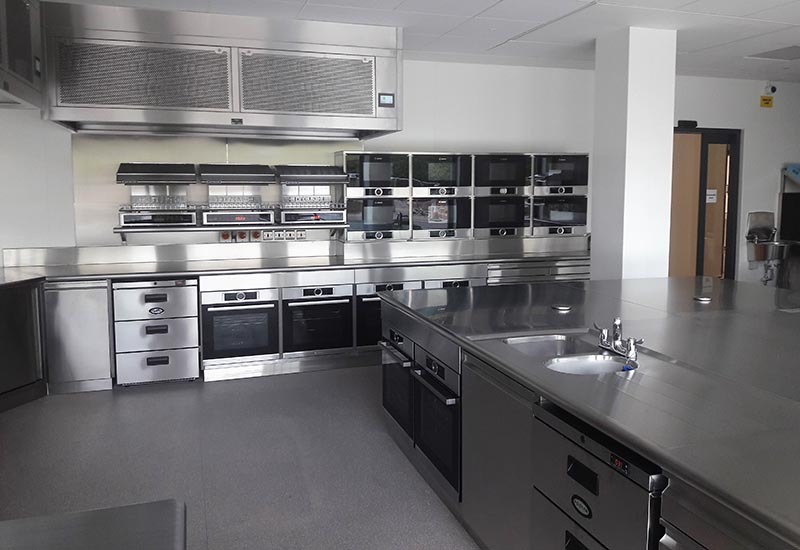 ScoMac provided the complete stainless steel kitchen facilities incorporating both domestic and commercial appliances into its bespoke fabrication, including Bosch cooking equipment, Giorik Hi Touch rise and fall salamanders and Foster refrigeration.